Just over an hours drive from Sydney you can be in the heart of the beautiful Southern Highlands, Lydie du Bray Antiques is located on a property known as “Kamilaroi” . You may even think that you are in Provence or some other part of the south of France . This exquisite property has the most delightful original French antiques and more – all for sale and at the most reasonable prices. Lydie du Bray Antiques started with the restoration of the historic home “Kamilaroi”. The house was built at the turn of the century on land that was one of the first grants in the area. Now it along with the old Cottage, attached Barn and Parterre Garden house an extensive range of quality and fine antiques. Lydie du Bray Aniques owner is well-known Antique Dealer Lydie du Bray. Lydie was born in Paris and has had over 35 years in the antique business. Her French influence on the presentation of antiques and décor is complemented by the beautiful gardens surrounding “Kamilaroi”. There is a diverse collection of antique and decorative items with the mix of consigned stock and directly French imported antiques. The high turnover ensures not only lots of new stock at any one time but items available at very affordable and competitive prices. 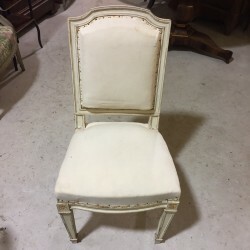 We also HIRE and BUY as well as RESTORE and UPHOLSTER through our professional team. Postal: PO Box 724 Mittagong NSW 2575 Australia, Gallery: 117 Old Hume Highway Braemar NSW Australia Open 10am-5pm (EST) Every day.